Remember how we told you about ‘lil Miss A’s Imaginary Friend Charlie and the baby? Well, there’s a new girl in town (as apparently Charlie was a girl). 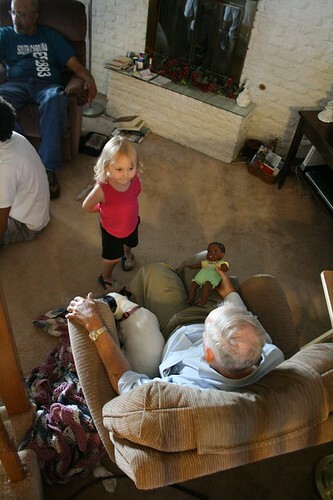 Before there was ‘Lil Man to serve as her best friend, A had some imaginary friends, including one named Charlie. It seems that something with an imaginary friend turned into a ‘lil something more . . .an imaginary baby.